Bertrand Fournier is the next artist to be showing his work with us at Delphian Gallery, with his DEBUT UK SOLO SHOW Some Pieces of Mind in May 2019. Unit 1 Gallery and Workshop’s Radical residency returns for a third time following two success instalments last year, this time opening its doors to ten international artists, from the UK, France, Germany, South Korea and Switzerland. The month-long residency programme tackles the ever-pressing issue of studio costs in the capital by not only transforming the gallery into a large studio space but also a chance to exhibit during the resulting three-week-long group show. 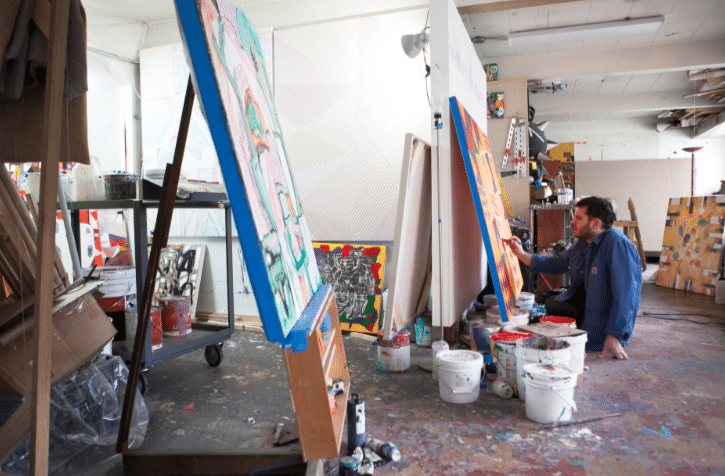 By providing a communal space within with to work and develop their individual practices, a dialogue also arises among the residential artists, allowing for an artistic and creative exchange common at art schools but often lost as artists are forced apart by rising studio prices and a dearth of available spaces in general. Whilst this rich conversation no doubt contributes to each artist’s independent output, it also results in an exciting and cohesive group exhibition. Unit 1 Gallery | Workshop founder and director Stacie McCormick states that “there are so many benefits to the artists working together in such an intense way, but the one that I did not anticipate, that seems to be the strongest, is the mutual respect and support”. If you can’t make it to the exhibition, which runs until April 25th, here is a rundown of my top five artists with work on display in ‘Radical Residency III’, (in no particular order). 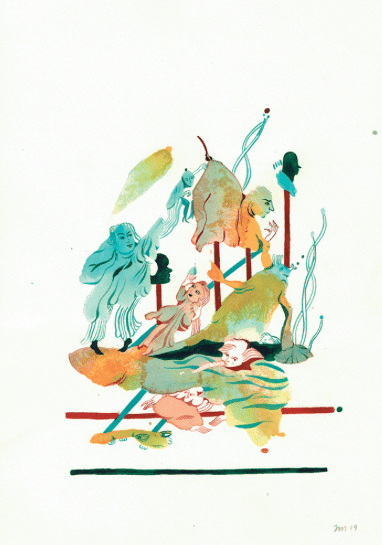 Sooyoung Chung recently graduated with an MA in painting from the Royal College of Art (London), having previously completed both a BFA and MFA from Ewha Womans University in her native Seoul, South Korea. 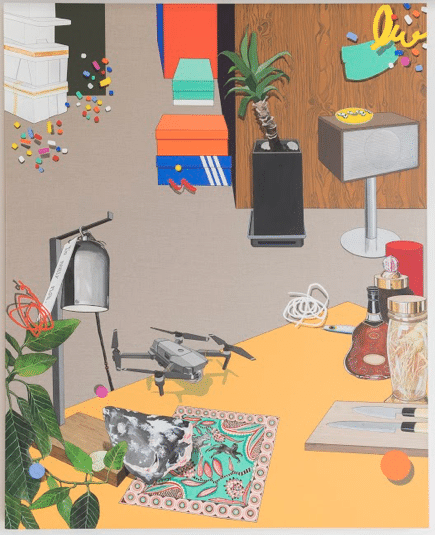 Sooyoung continues to document her daily life through her ‘Biographical Object’ series of paintings depicting individual everyday items, a process she began after moving to the UK from South Korea and finding herself having to buy and accrue the household items she’d previously taken for granted when living with her parents. Additions presented in the Unit 1 exhibition include a pencil sharpener, champagne flute, avocado and the instantly recognisable orange TFL ticket. Alongside the 18 small linen canvases, Sooyoung also exhibits one of her larger narrative works, in which she explores ideas of personal choice and taste by creating a portrait purely from the objects one surrounds oneself with. 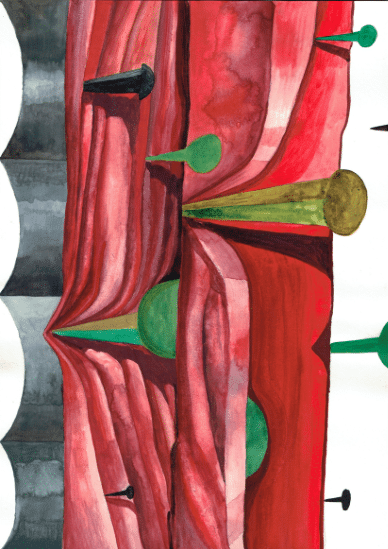 Hun Kyu Kim recently graduated with an MA in painting from the Royal College of Art (London), where he received the 2017 Chadwell Award, having previously completed both a BA in Oriental Painting at the Seoul National University in South Korea. Having adopted the traditional silk painting technique common in his native South Korea, Hun Kyu subverts the conventional art form by applying it to critique the current political situation of his home country. 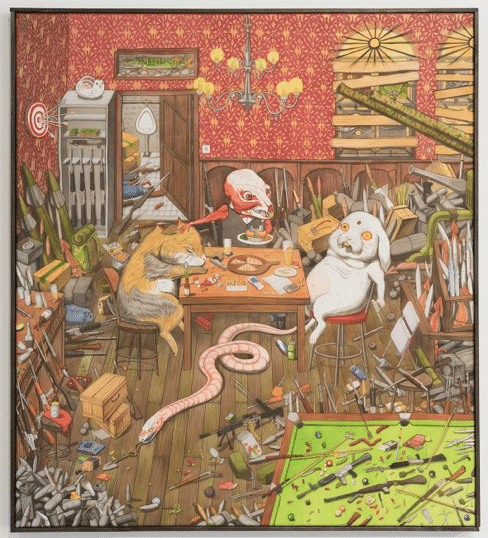 Anthropomorphised animals inhabit his allegorical paintings that reference anachronistic art history, folkloric fairy tales and polemic political commentary, creating dark, imagined vignettes where the conventionally cute creatures are rendered riotous and violent. Lucille Uhlrich graduated with an MA in Fine Art the École Nationale Supérieure des Beaux-Arts, Lyon, France having previously studied Modern Literature at the Université de Strasbourg. She also writes art criticism and essays for French publications and galleries. Lucille’s miniature assemblages, crafted out of quotidian materials such as ceramics, cardboard and wood and held together with string and superglue, exist within a transient dreamlike domain where her symbols and structures imply language. The intricate constructions are delicately produced and carefully considered, with Lucille adding and subtracting elements until a satisfactory balance is found between not only the constituent materials but also the envisioned elucidation. 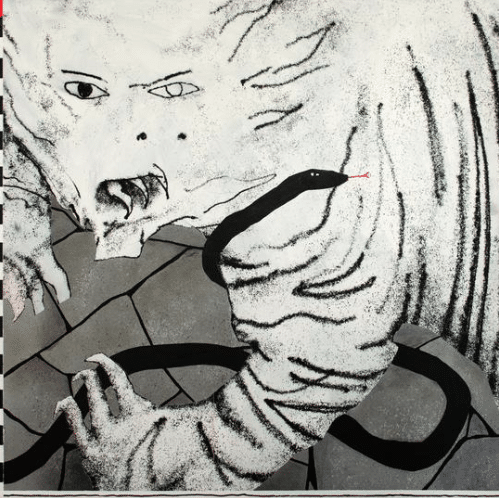 Lucille’s recent solo exhibitions include ‘Starting from Scratch’ at Néon (Lyon) in 2018, ‘Instant d’après gammes’ at Galerie Arnaud Deschin (Paris) in 2017 and ‘Le Grand Malentendu’ at CEEAC (Strasbourg) in 2014. Jean Baptiste Lagadec received his BA in Fine Art from Central Saint Martins (London) in 2016, having previously studied at the Atelier de Sèvres (Paris). 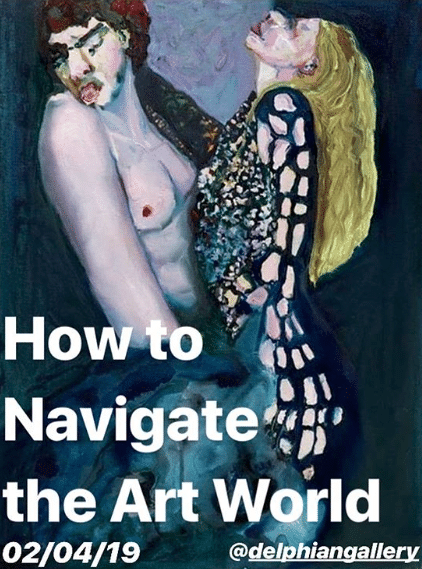 Jean Baptiste weighs the importance of process against the resultant artwork within his paintings, seeking to make visually the intangible, technological codes that underpin and assemble digital images, a hangover from the artist’s previous life as a purely digital artist. He, therefore, sees his adoption of abstract painting as his primary artistic medium as a rebellion against the increasing proliferation of and reliance upon technology, and the threat that poses to intrinsically physical activities such as artmaking. Jean-Baptiste had a solo presentation as part ofThe AIR Programat Youkobo Art Space, Tokyo in 2017, and his work recently featured in the group exhibition ‘We Are The Ones Vol. 1’ at Carlsberg Byens Galleri (Copenhagen, Sept 2017) curated by Jordy Kerwick, Galina Munroe and Simon Ganshorn. 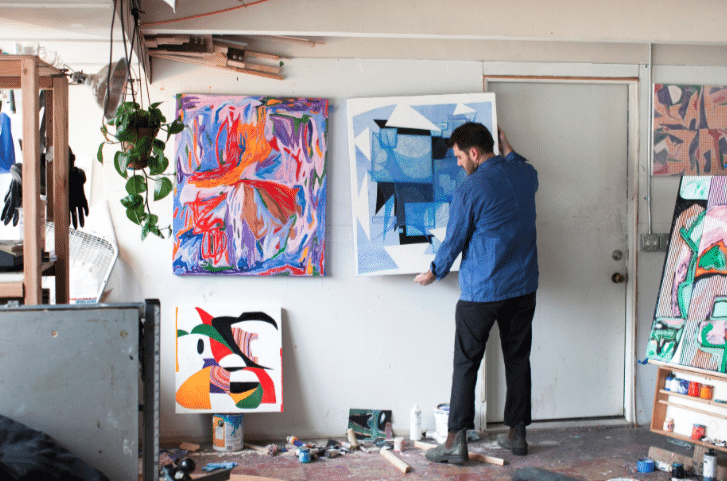 Henry Tyrrell recently graduated with an MA in Painting from the Slade School of Fine Art (London), having previously completed his Ba in Fine Art at the Chelsea College of Art (London). 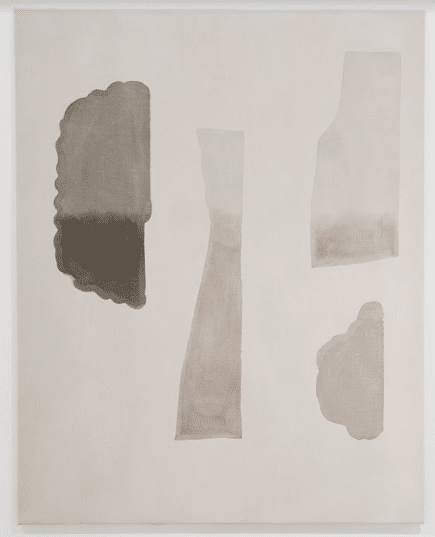 Within his acrylic on linen works Henry plays with colour, tone and form as ambiguous forms emerge within the shadowed canvas in various shades of grey, reminiscent of the frustration at a foggy memory or the annoying attempts to recall a dream. 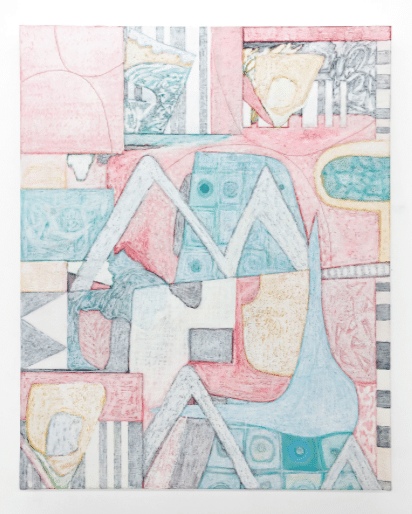 As well as walking a tonal fine line throughout his examination of grey, Henry also approaches the margin between abstraction and representation, as the shapes and symbols are left for the audience to offer an interpretation. 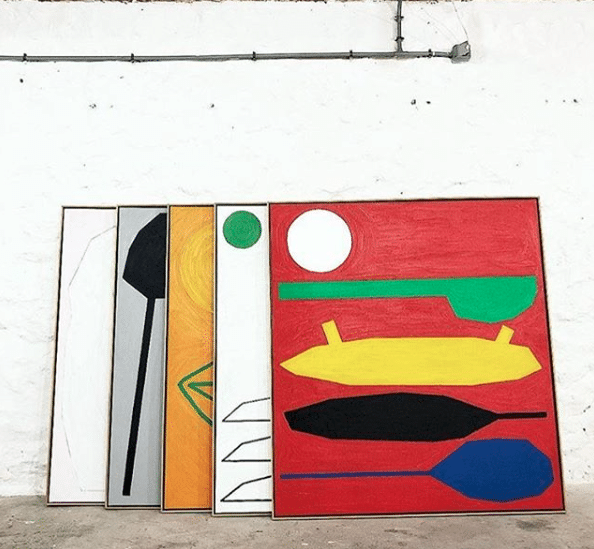 Henry’s work has featured in group exhibitions at the Cello Factory (‘Defining Structure’, Sept/Oct 2018), the OXO Tower Wharf (‘Orbit UK Art Graduate Show’, Aug 2018) and Chalton Gallery (‘The Politics of Too Many Rubbish Dinner Parties’, May/June 2017). His debut solo exhibition ‘Purkinje Flying’ was at GlaxoSmithKline, Brentford in 2014. Insights into Curating with Rosalind Davis. There is a great deal of curiosity about the job of a curator, most notably and understandably from artists; how do you curate? What kind of gallery do you work in? And then, there is always the question of how do I find artists for my exhibitions? So, I thought it would be useful to answer these questions and create a resource for people in the long term. Of course, all curators like artists are different but there are some universal truths. I am an artist as well as a curator and have curated 30 exhibitions so far in my career. 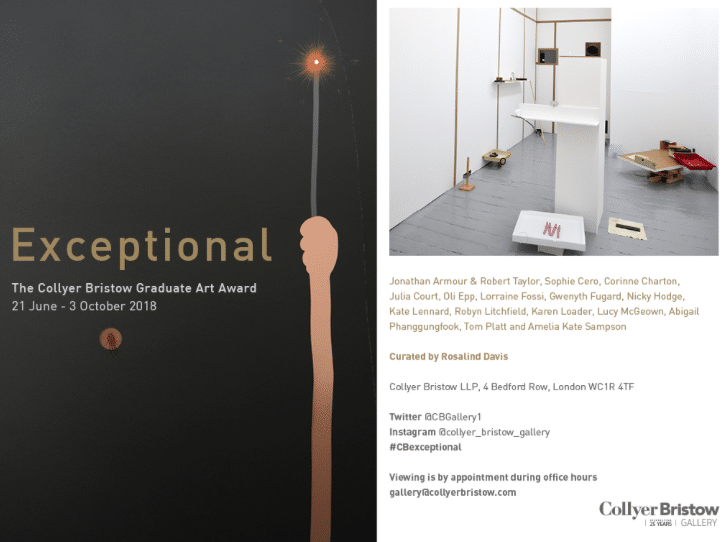 I was appointed the curator of Collyer Bristow Gallery in 2016;a very unique gallery in a law firm based in Holborn that was set up by partners of the firm25 years ago. The focus of the gallery is to support artists through a dynamic gallery programme with a dedicated curator and space. Each show has between 15-25 artists and I curate 3 shows a year there, each usually spanning 4 months. We have a focus towards supporting young career artists to help build their careers and profiles and so Exceptional is a graduate competition and award exhibition every 18 months. The winning artist in the exhibition receives a significant award of £2000 and, importantly being aware that competition fees can exclude artists from entering, ours is free to enter. In previous years we only allowed for artists to apply from three London art schools; Goldsmiths, Middlesex and City & Guilds of London Art School whereasthis year we will be expanding our competition to allow graduates who studied at any University in London apply. It is a very exciting opportunity for artists and way for me to curate an exhibition focussing on these very promising and talented artists. In the other exhibitions throughout the year I support younger career artists through mixed group shows that showcases them alongside more established artists and helps build their profiles, cross fertilise networks and bring their work to new audiences as well as the opportunity to meet the other artists in the show. Collyer Bristow are also very engaged in the exhibitions and deservedly proud of the gallery. We have numerous events across the year for our many collective and different audiences including prominent arts organisations including the Contemporary Art Society, Government Art Collection, The Fine Art Group, The Mall Gallery Patrons and various other collector groups, curators, galleries, writers and artists. How do you choose artists? Apart from Exceptional, where the artists are chosen by a guest panel on their merits, the artists are chosen to fit within the particular themes of the show. To select the artist’s, I am always visiting lots of exhibitions (including Degree shows) research and collate lots of artist’s works. I have a very large library of artists and research on file. I also used to run an annual open competition before Exceptional as part of the arts organisation Zeitgeist Arts (which I co-directed) where I got to select and curate a huge range of artists work. I have gone onto work with a number of these artists again in other exhibitions. I have exhibited artists who were my teachers and students, artists recommended to me, artist’s I have exhibited with, artists whose careers I have been following and I am always looking! However, it can take years to place an artist’s work in an exhibition – for their work to fit in the right context. 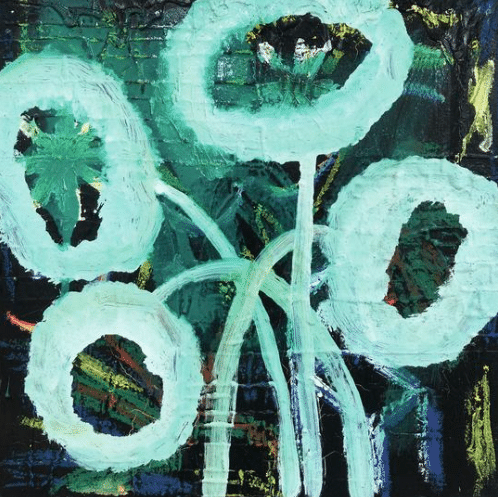 I have exhibited artists from their early 20’s to their mid 70’s, artists that have been to art school and artists are not formally trained – ultimately, it’s about the integrity, the ideas and processes of the work itself. I am also keen to show unrepresented artists, as I am aware that exhibition opportunities can be limited. Justin Hibbs (an artist, collaborator and partner) and I have lots of conversation about the exhibitions, coming up with ideas and thinking of artists to fit within the theme, as does Michaela Nettell, (who does all our design work for the exhibitions) and other artists I know such as Sasha Bowles who I have also curated with in the past. They are all really engaged with the exhibitions and I am receptive to their thoughts. One thing I don’t do (and I don’t know any curator or gallery who does) is ever choose artists who spam me or cold call – whether online or in person! For tips and ideas in how you might build a relationship with a curator or galleries can be found on a blog post I did for Hotel Elephant. How do you come up with ideas for the Exhibitions? The fact that the gallery is housed in a working and active law firm is a rich vein of inspiration for me. As an artist I am very sensitive about the context of a built space Collyer Bristow is a space full of narratives where resolutions are continually being worked towards, modified and resolved. My first exhibition at Collyer Bristow Gallery in 2016 was called Complicity. Artifice and Illusion.I curated the different meeting rooms thematically within the show that related to the law; such as extradition, mediation, copyright, divorce and dissolution, which was intended to be both playful and expansive given the galleries context. Often the titles are the starting point in my process, identifying the core themes or ideas of the show and then the works or artists who might fit within that context. In the Futurewas an exhibition in 2018 inspired by David Byrne from a song written in 1985, that laid out propositions and prophesies about the future as he saw it then. The lyrics describe a future through a series of paradoxical statements that now seem strangely prescient in describing the complex reality where contradictory truths co-exist; such as the lyric; In the future there will be so much going on that no one will be able to keep track of it…. which all of us can now relate to. Our current show Rules of Freedom, takes its starting point from history of how both women and men have been working to build a civil society that seeks to make the world freer, fairer and more progressive sincethe People’s Representation Act, enacted 100 years ago. Artworks in this show reference a broad range of subjects such as the civil rights movement, political freedoms, LGBTQ+ rights or freedom of movement, all of which are now under threat at this point in time. It is a show of Rule Breakers and Rule Makers, it’s title coming from an influential album by African American musician Nathan Davis, an avant-gardeJazz pioneerin the 1960’s who laid down through his music his own ‘Rules of Freedom’. 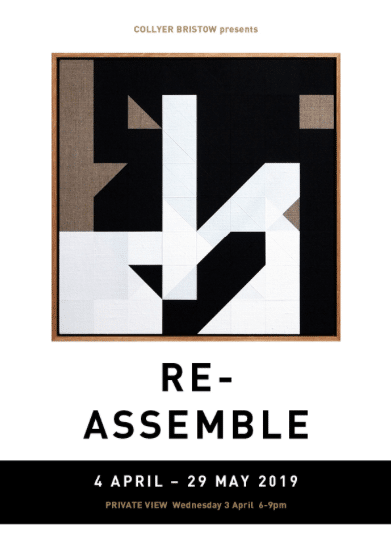 Re-Assembleis our next exhibition,that looks at ideas and processes of structure against the particularly precarious and fractured current political backdrop and previews on the 3 April, 6-9pm. Drawing Room’s annual ‘Drawing Biennial’ comprises both an exhibition and online auction of over 200 drawings produced by leading international artists spanning multiple generations. Featuring work by artists already recognised in the medium of drawing, as well as contributions from renowned sculptors and painters, the ‘Drawing Biennial’ promotes the importance of drawing within all areas of artistic creation and production. Artists are invited to create an original drawing for the Biennial by Drawing Room directors Mary Doyle, Kate Macfarlane and Katharine Stout, alongside additional artist nominations from celebrated artists, museum directors, curators and collectors. All drawings are then available to purchase via an online auction conducted during the final two weeks of the exhibition, each with a starting bid of just £300. The auction proceeds support the Drawing Room’s year-round programme of exhibitions, learning and publishing, as well as the expansion of its study library. 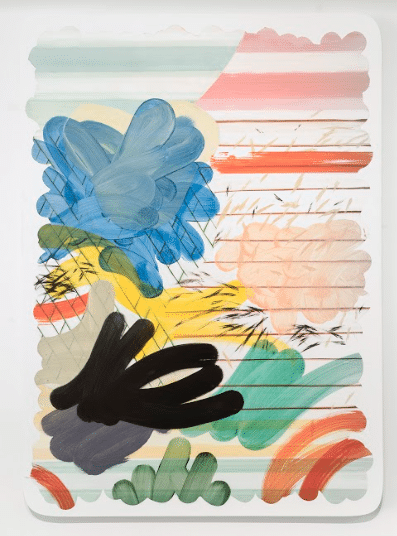 If you can’t make it to the exhibition, which runs until March 26th, here is a rundown of my top five artists with work on display in ‘Drawing Biennial 2019’, (in no particular order). 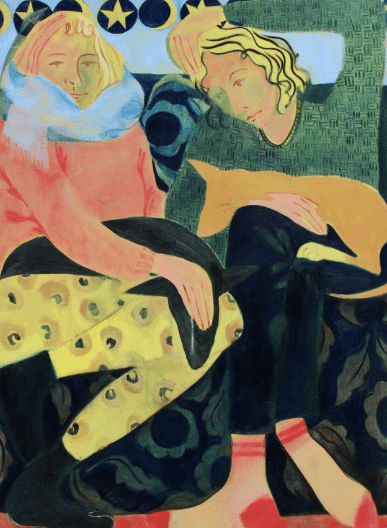 Jessie Makinson recently graduated from the Turps Banana Studio Program (London), having previously completed her BA in Painting and Drawing from Edinburgh College of Art as well as a Postgraduate Course at The Royal Drawing School (London). 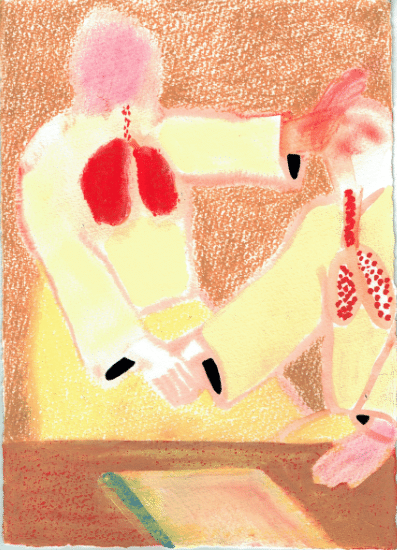 Jessie’s works on paper are created by indiscriminately applying daubs and smears of ink and watercolour, which when dry form the basis of her emerging narratives. From the results of this process appear small anthropomorphised animals or fairytale figures, as shapes combine to form characters and costumes, rendered finally with the addition of the artists’ intricate line work. 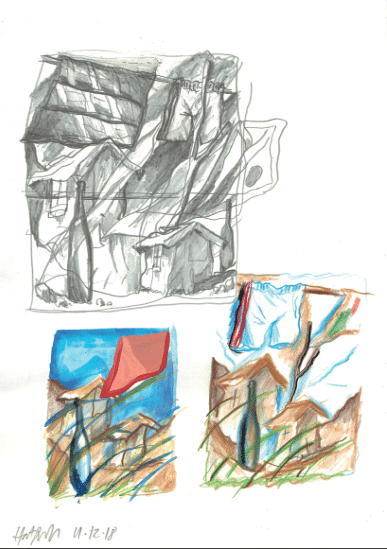 The randomization implicit the first stage of Jessie’s process allows for the narrative to only be found through the act of creation. Jessie has work in an upcoming group exhibition, ‘No Patience For Monuments’, at Galerie Perrotin (Seoul) in April as well as an upcoming solo exhibition at Galería OMR(Mexico City), in June. 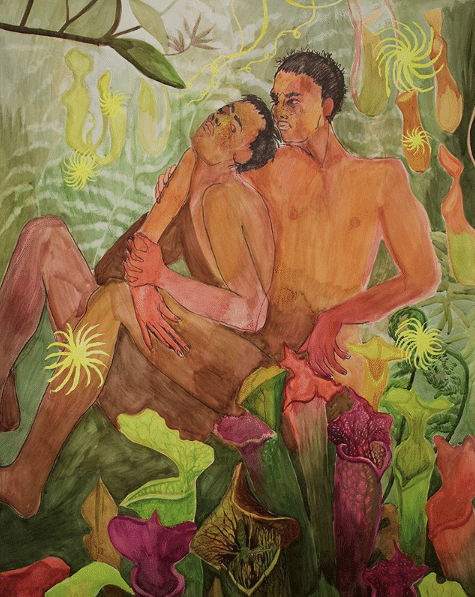 Marie Jacotey graduated with an MA in Printmaking from the Royal College of Art (London), having previously completed her a DNSAD at École Nationale Supérieure des Arts Décoratifs (Paris). Marie’s drawings give the viewer a voyeuristic glimpse into the private, personal lives of her subjects, who are often depicted during moments of emotion, reflection or vulnerability. Contrasted against the pervasion of social media in contemporary society, where people’s personal lives are stage-managed, fictionalised and made public, Marie’s drawings capture rare, candid episodes that offer a glimpse into actual, true intimacy. Marie has work in the current group exhibition ‘Club Inaugural’ at Balloon Rouge Collective(Brussels) which runs until April 10th, and her recent solo exhibitions include ‘Goodbye Darkness’ at Ballon Rouge (Paris) in 2018 and ‘Morning Defeats’ at Hannah Barry Gallery (London) in 2017. 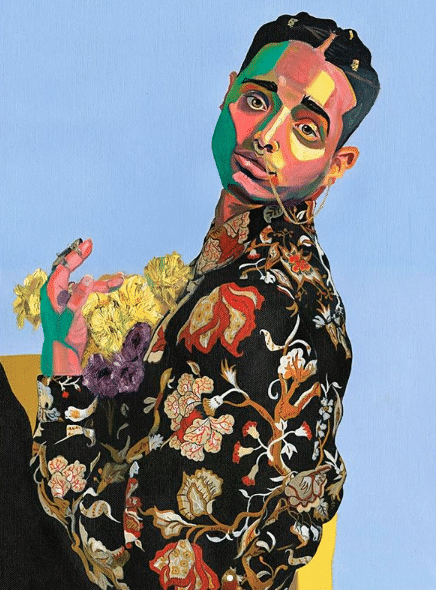 Gabriella Boyd recently graduated with a Postgraduate Diploma in Fine Art from the Royal Academy Schools (London), having previously studied at Glasgow School of Art. Gabriella’s paintings depict imagined human interactions charged at once with a sense of both hostility and affection, dreamlike scenarios rendered in a warm, rich palette of reds, yellows, pinks and browns. 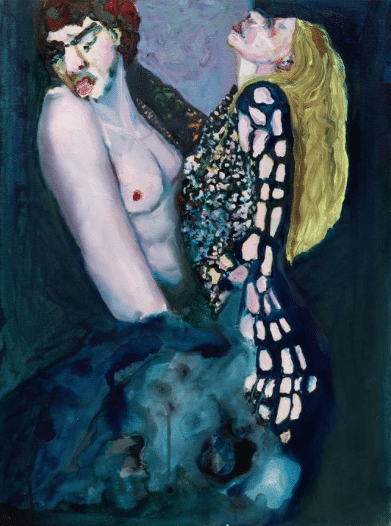 Figuration is stretched beyond our earthly understanding as her characters are depicted with their lungs exterior to their bodies, communication implied simply through physical touch. 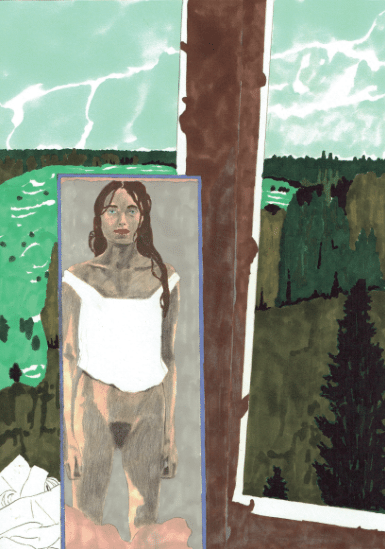 Gabriella’s narrative vignettes can, therefore, be assumed to exist within an otherworldly dimension, recognisable to viewers but with subtle, preternatural indicators. Gabriella had her debut solo exhibition, ‘Help Yourself’, at Blain|Southern (London) in 2018, recent group exhibitions include ‘Dreamers Awake’ at White Cube Bermondsey (London, 2017), ‘The London Open’ at Whitechapel Gallery (London, 2018) and ‘So Everyone is Rich Now Apparently’ with Supplement/Arcadia Missa (New York, 2017). 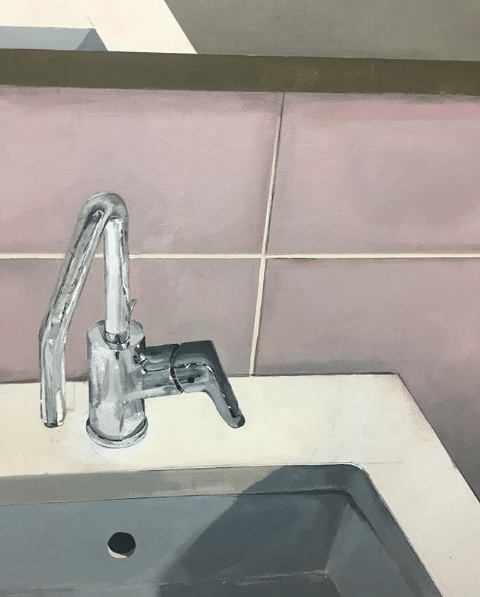 Laurence Owen recently graduated with a Postgraduate Diploma in Fine Art from the Royal Academy Schools (London), having previously completed a BA in Fine Art Painting at Falmouth College of Art. Inspired by traditions and artefacts related to Folklore, Paganism and Mythology, Laurence employs a conceptual understanding of sampling and source material to create his energetic yet architectural works. Building on his previous study and use of the word ‘loot’, meaning ‘to rob’, he comments on the undeniable influence and inspiration that comes from our current exaggerated exposure to content. 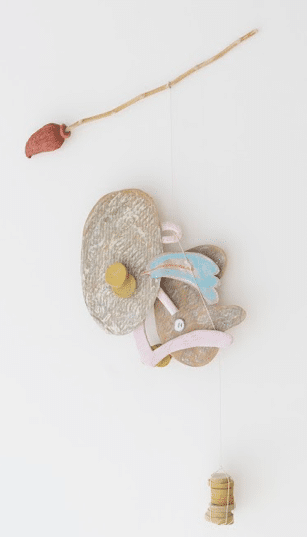 The act of art-making and exhibiting is also sampled and remixed within Laurence’s work, as often unseen and unconsidered elements such as frames, hanging hooks and pins are brought to the forefront. Laurence’s recent solo exhibitions include ‘Loot’ at Galerie PCP (Paris) in 2018, a solo presentation at VOLTA Art Fair 2018with Frestonian Gallery and ‘Channel Synthesis’ at Evelyn Yard Gallery (London) in 2016. Nicholas Hatfull graduated with a Postgraduate Diploma in Fine Art from the Royal Academy Schools (London), having previously studied at the Ruskin School of Drawing and Fine Art. Nicholas’s absurdist, surrealist still life works capture and comment on contemporary society through the depiction of quotidian, mundane objects. Maintaining a language of rich visual reference points, as disparate as the films of Yasujirō Ozu and the packaging used by fast-food chains, his playful compositions are comprised of recognisable and relatable motifs. Subtly anthropomorphized objects act as human stand-ins, imbued with their often associated emotions to create an empathetic narrative for the viewer. 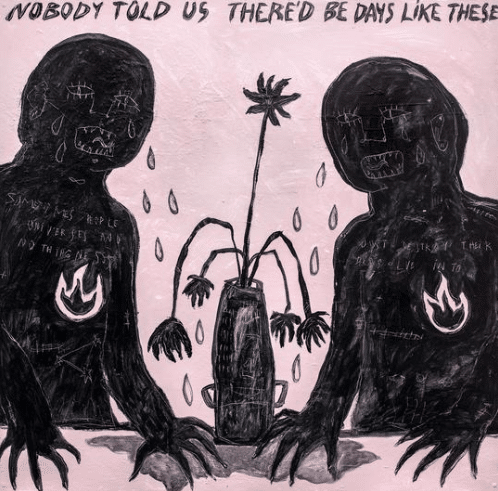 Nicholas’s recent solo exhibitions include ‘Tofu Dealer (to kill my hunger in daytime wander)’ at Josh Lilley (London) in 2017 and ‘Tall Grass (Expert Pruning In Ethiopia)’ at Josh Lilley (London) in 2014.
info@part2gallery.comDelphian favourite Pt. 2 Gallery is pleased to present Zero Player Game, a solo exhibition of paintings by Oakland-based artist Brett Flanigan. The exhibition title is a reference to the mathematician John Horton Conway’s Game of Life, a 1970 mathematical simulation where, given an initial state and a set of simple rules, a black and white grid evolves endlessly in ways that are seemingly organic and operate on similar principles as life itself. In this body of work, each painting begins with an initial state in which Flanigan builds energy, usually involving repetitive patterns and intuitive mark making. This initial state then undergoes a series of reducing and rebuilding moves based on self-imposed rules or logic. The works are simultaneously formulaic and improvisational. Whenever possible, Flanigan makes aesthetic decisions using games of change such as dice rolls, coin flips, or random number generators, leaving the artist’s pre-conceived or socialized views of aesthetic behind, paving the way for unusual compositions and color combinations. Our next show is our Open Call, which opens on the 28th of March.